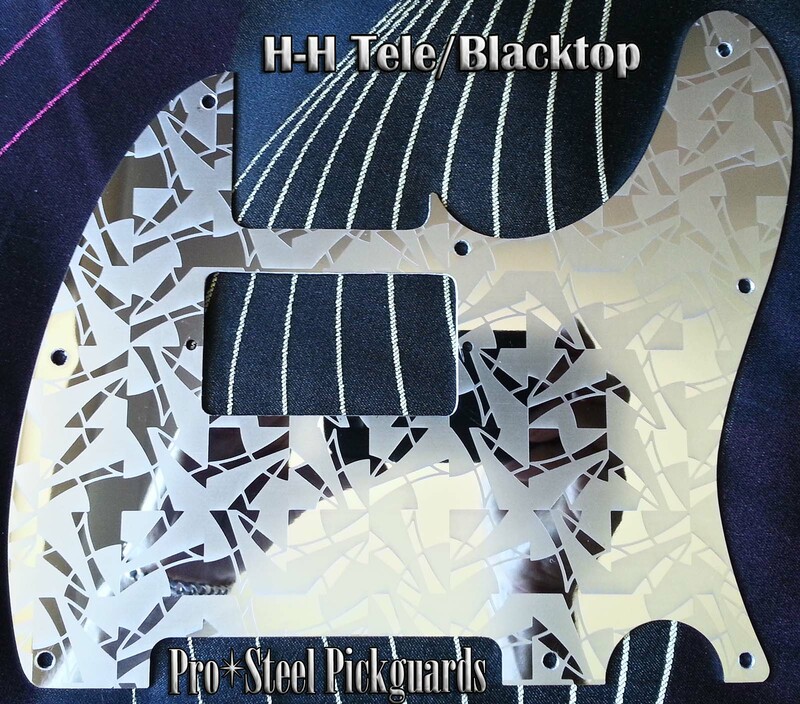 KALEIDO Polished Stainless Steel Pickguard for HH Telecaster, and Blacktop. A matching Kaleido Tele Control Plate is also available, please contact with this request before placing your order (email top left). Squiers, other Tele's: Will fit recent Squier Telecasters, This guard has exactly the same external shape and screw holes as a Standard Fender Tele Guard, except cut for a bridge humbucker. See above for Fit.